Could never find on google2. I finally watched the full show. I loved it. Still wish we had a physical copy. I’m old fashioned, lol. Carrie was incredible. She looked like she was enjoying and soaking up every second. Amazing from start to finish. maddkat, liz278 and countrymusicfan15 like this. There’s some more clips from the concert film on YouTube. glenn7 and DaisyTweets like this. I still haven't managed to sit down and watch the tour video all the way through. I started it one day, but didn't get the chance to finish. I'm hoping my daughter will be interested enough to watch it with me one day, but she's 5 and easily distracted, lol. ^ why would someone do that? and why haven't Carrie and her people had it taken down? Yeah it will probably be removed soon. I was just letting people know it was there. Still hoping they release it physically someday. Brilliant show. 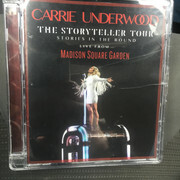 Carrie at her best. Her rendition of I Will Always Love You during this show, was the most beautiful I think I've ever heard. My goodness!!! rainbow1 and Carrieslegs84 like this. Me either.I started it weeks ago during my fall semester of college,but I was trying to focus on finishing the semester,so I haven’t gotten back to it just yet.I’ll try to finish it during my Christmas break,but I love what I’ve seen so far! !My mom’s a teacher,so she knows that kindergarteners have the attention span of a gnat & can get easily distracted,so I get it!! I am so bummed that iTunes will not let us burn it to dvd. 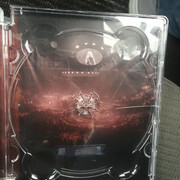 I still haven’t been able to watch it on the big screen since I cannot make a dvd. Girl go to Wal-Mart, Best Buy, Amazon and order/buy yourself a cord idr the name had one several years ago but that’s not important what’s important is that it allows you to watch movies off your laptop onto your tv. I think it HDMI. connect from your laptop to your smart tv. change the tv input, modify your laptop display settings, ready to play! Marvin Poe and teesharky like this. 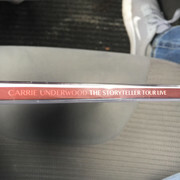 I wanted a physical copy of the Storyteller Tour so I bought a used BA Tour dvd so I could have the same case and made the inserts and everything - of course I cracked the case though. maddkat, Smokyiiis, ethelu and 3 others like this.